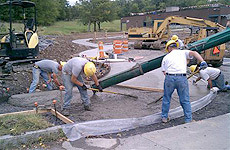 Need a construction firm with the commitment to your needs and the experience to fulfill them? If you haven't done business with us lately, or if you've never done business with us, you will be impressed by the level of knowledge, commitment, and pride that Nelson and Streeter brings to the job. Located in Pine City, New York, Nelson & Streeter serves hundreds of clients in Northern Pennsylvania (including Wellsboro, Mansfield, Troy, Towanda and Sayre), Southern Tier New York (including Binghamton, Elmira, Corning, Bath, Hornell and Olean) and New York's Finger Lakes Region (including the communities around Cayuga, Seneca, Keuka and Canandaigua Lakes). Nelson and Streeter has the ability to offer a higher level of performance and a more complete range of services than ever before: As your General Contractor, our staff will help you with your renovation or manage an entire new construction project. Our Site Work capabilities will provide better coordination from site preparation to building construction and completion. If you have a project in mind, we want to help. 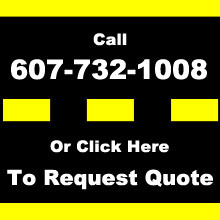 To get started contact us today or submit an online Quote Request.